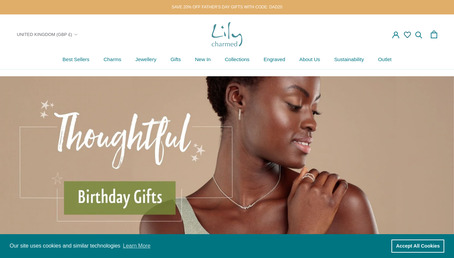 Lily Charmed is a British jewellery brand that designs and creates quality sterling silver and gold plated charm jewellery including necklaces, bracelets and earrings as well as a range of engraved pendants. Add a Personalised message card to any necklace for a truly personalised gift. All jewellery is gift boxed.